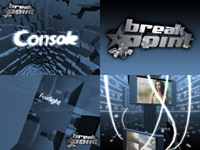 Welcome to Breakpoint 2008, world's biggest pure demoscene event. For the 6th time, up to 1000 creative participants from more than 30 nations are once again expected to gather in the beautiful town of Bingen am Rhein, Germany, from the 21st to the 24th of March 2008 (Easter weekend), enjoying 4 days of round-the-clock activities in arts, technology and international socializing. In case you've never been to a demoparty before, we suggest you have a look at our New Visitors section now - else read on. We are back once again to provide you a stunning but friendly party atmosphere. Obviously all the features from the past 5 years will remain - there will be a extremely wide range of competitions for each and every taste, the biggest selection of food & drinks stands ever seen at a demoparty, cool music liveacts to dance to, enlightening seminars, a seperate beer/party-tent, a meadow with a warming bonfire for long outside nights... and so much more. Everything a scener could wish for comes true at Breakpoint. As a special feature Breakpoint 2008 for the first time in demoparty history will be featuring a gigantic 16:9 FullHD big screen, over 70 square meters big, 12 meters wide, running a full 1920x1080 resolution - expect the best demo experience ever seen with insanely sharp and bright picture. 2008 is a very special year for the town of Bingen am Rhein, where our party is held: Just 3 weeks after Breakpoint 2008 ends, the Rhineland-Palatinate Garden Show will open for the summer in the town center near the rivers Rhein and Nahe. With the garden show covering over 24 hectars and a length of 2.7 kilometres, this is going to change Bingen's face forever. Breakpoint is going to start the party early - with the whole city being visually dominated by flowers, we just can't stand back. 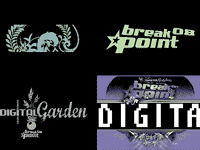 And that's why Breakpoint 2008 is going to be a Digital Garden. We'll make nature and technology compete in sweet harmony - wear a flower in your hair while kicking those bits' butts. You just can't afford to miss the party event of the year, so make sure to visit Breakpoint 2008 and register now. You might also want to check out the invitation demo by Rebels; any reasonably machine with OpenGL 1.4 compliant video card and 128MB of VRAM should be able to run it. The Windows version of the invitation works with Wine, and a MacOS X port is included. And if your machine still isn't supported, you can at least try one of the video versions. , or join the irc channel #breakpoint on the IRCnet network.